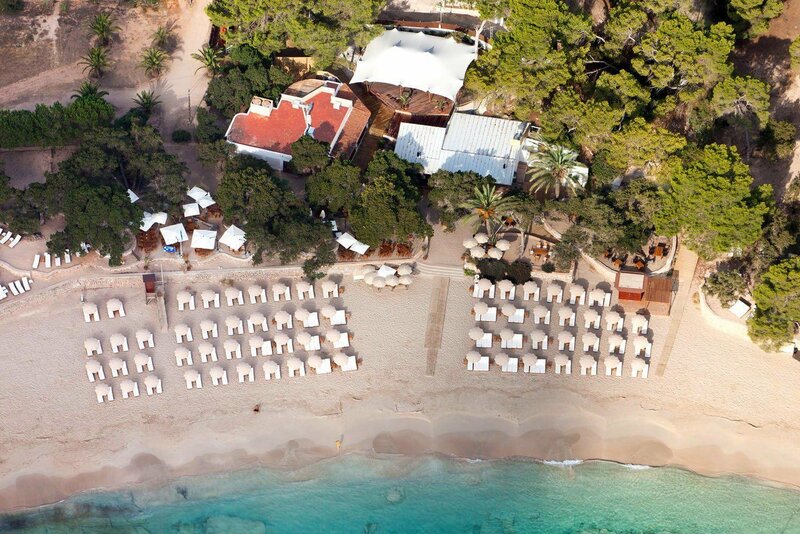 Eat, drink and relax at Cala Bassa's most beautiful venue. Cala Bassa is one of the finest beaches on the island - certainly on the west coast of Ibiza, and Cala Bassa beach club (CBbC) is its premier bar, restaurant and beach venue. The beach boasts beautiful golden sand and crystal clear waters and is a very popular place for boats to moor. CBbC has on offer two beach bars, three restaurants, a snack bar, a VIP area, boat service, beach service and plenty of sunshine to bathe in throughout. Imagine sitting among the gorgeous twisting trees that line the beach, overlooking the stunning coastline while deep, Balearic and chillout sounds fill the air. Sounds pretty great, doesn't it? Well this is all par for the course at CBbC. As mentioned, there are several options for dining. These include the CBbC Restaurant, offering a gastronomic fushion of flavours, the CBbC Chiringuito for some classic Mediterranean cuisine, the CBbC Sushi which offers high end sushi from their dedicated 'sushi gazebo'. Or, for something lighter during the day, the CBbC snack bar located at the far end of the bay serves quality fast food. A truly stunning venue nestled amongst the natural beauty of Ibiza and Cala Bassa that's suitable for all types of people in search of quintessential relaxation.